Fragrance Notes: Brown Sugar, Patchouli, Frangipani, Gardenia, Pear And Red Berries. This Gucci Floral is by far my favorite scent! It smells very nice and I will be wearing this scent for many years to come! I purchased Gucci Flora Gorgeous Gardenia. It arrived in Australia very quickly. It was delivered to my door in a box which contained the item as well as some sample products. Very happy with my purchase and will be recommending this company to my family and friends. This is a lovely floral ,but Elizabeth Taylor is what you're looking for in a gardenia, she improved on her favorite jungle gardenia. Gucci's gardenia floral is a beautiful blend of gardenia and other florals, perfect for a daytime and spring,summer fragrance. I love gardenia and this is a gourmand style of gardenia. 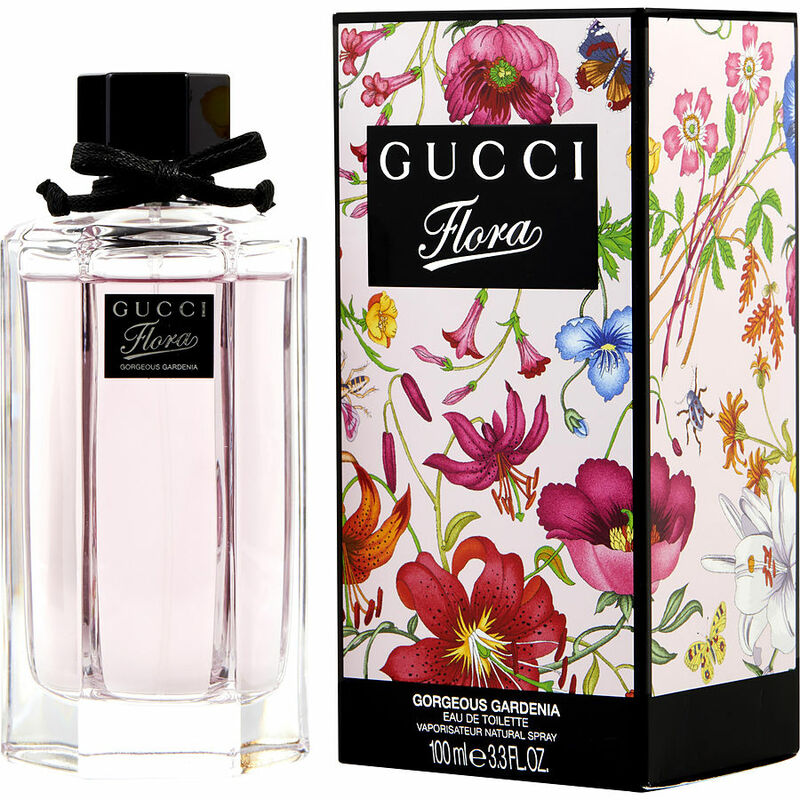 Really enjoying the Gucci flora gardenia! It’s long lasting but not too overpowering. This is one of my favorite scents. The gardenia is not overwhelming. The perfume itself is not as intense as I was afraid a gardenia scent would be. I wear this to the office without worrying I am going to drowned everyone in perfume. Very pleasant! It is one of my signature scents.